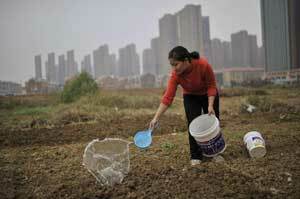 China shot down the property selling frenzy by rural farmers as this has pushed real estate prices in some second to third-tiered cities in the country. The Economic Information Daily reported that after the top-level party meeting early this week, government authorities have jointly issued a statement halting the sale of “small property rights housing”, usually situated in rural areas. Reuters confirmed in a related news report that the Ministry of Land and Resources and the Ministry of Housing and Urban-Rural Development have issued a joint circular stating the prohibition because these properties were built on rural land and therefore requires state planning. Property prices rose when earlier expectations revealed that the party may allow rural construction land be traded in a unified urban-rural market, which could enjoy the same rights and privileges as state-owned land. “A buying frenzy has occurred… amid hopes that such ‘small-property-rights housing’ could be legalized,” Reuters said quoting the Economic Information Daily. Urban dwellers have fled to rural areas to take advantage of the better environment conditions and have tapped the small property housing, which has not been legalized. China Vice Land Minister Xu Deming was quoted as saying that the state party allowed some rural land to enter a unified urban-rural land on the premise that it would conform to the planning and is under usage supervision. Nevertheless, this has some limitations. In China, rural lands are owned by collectives and can only be used for industrial or private property development with the approval and prior requisition by the state. In November, China’s home prices rose by the most at 10.99% from a year earlier to about US$1,765 per square metre (10,758 yuan), SouFun Holdings Ltd. said in a report after conducting a survey on 100 cities. Home prices moved up 0.68% month-on-month from October, the 18th consecutive month of increases, said SouFun, the country’s largest real estate website.